This week's Refresher Friday takes an updated look at writing person vs. society conflicts. 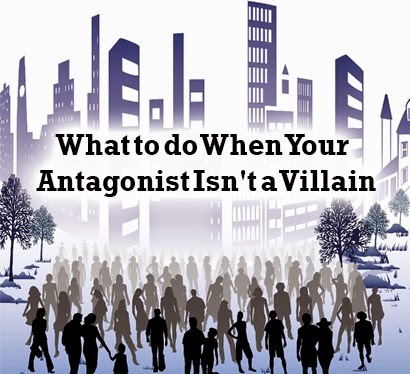 All stories need an antagonist, but not all stories have a villain. At least not in the literal sense of the word. We'll see an antagonist one from of the four basic conflict types, but that covers a variety of situations. We've discussed the person vs. self antagonists, and person vs. nature conflicts, so today, let's talk about the person vs. society conflicts. A great example of a person vs. society conflict is the movie In Time. It's a world where people have been genetically altered to stop aging at 25, with a one year advance on their lives after that. To continue living, then need to get more time. They work and are paid in actual time (as in it gets added to their lives). The rich live for centuries, the poor struggle with just days (or less) left. The protagonist is a poor guy named Will who is living hour to hour so to speak. Will's beef is with the society he lives in. He just wants to live, he isn't trying to bring down a specific person or anything--it's the system he hates. The culture and ideals of the world he lives in make it impossible for him to be happy and enjoy his life. The system doesn't care one whit about him, so it's not personal or directed at him specifically. It's the antagonist, but it's pretty much everyone's antagonist. Will eventually decides to fight the system, and thus fight the society he lives in, and the rules of that society are the obstacles he has to overcome. Just like a person vs. self conflict, a person vs. society conflict will have representatives for the protagonist to fight directly against. In Will's case, it's a timekeeper (a cop) who's just doing his job and trying to keep the system running. Even he has no personal stake in Will's problem, but he represents what's wrong and is the person getting in Will's way and helping to drive the plot and provide stakes. Eventually things get personal, and Will does find a bigger, more classic "villain" to focus on--a man with enough time to live forever, and the person who controls the time banks and the system itself. Bring him down, change the system. This is a common element to a person vs. society conflict--changing the status quo. Whether or not it happens doesn't matter, it's the fight to do so that provides the goals and narrative drive. Shirley Jackson's The Lottery is a good example of a person vs. society story that doesn't end on a happy note, and isn't trying to change anything. 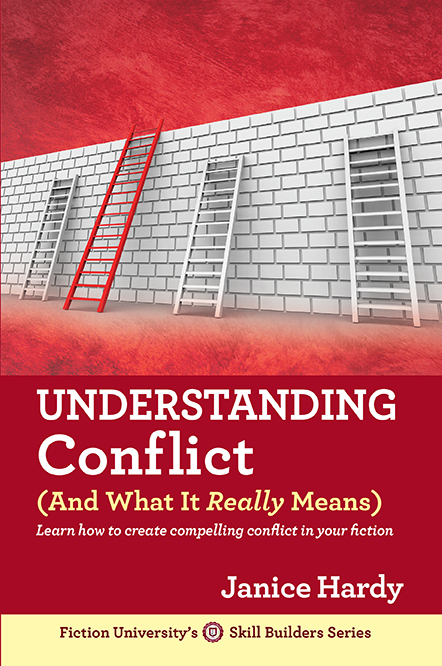 Like any good plot, there will be challenges to overcome in a person vs. society conflict. To start, there's always a trigger for the protagonist to want to change society. No one wakes up and says, "I think I'll risk everything and try to change the world today." Something happens that makes the status quo unacceptable. (Your inciting event.) This will most likely be deeply personal and a strong enough trigger to make the protagonist act in ways he or she never would. Sometimes, the protagonist doesn't start out wanting to change the world, it's just their only way to survive. The early problems and conflicts are typically a little different as well. Most of the time, they're examples of the system and why it's bad. Readers see how society and its rules hurt the protagonist, the detrimental effect it has on the people he cares about. You'll also see society trying to reassert control any time someone steps out of line to establish the stakes and consequences. You'll most likely have characters to fill the roles of society here, people the protagonist can spar against and fight. Before long the protagonist typically finds the one person/thing that is the biggest symbol of the society he's trying to overcome (and the personal issues he's trying to resolve), or be the thing that will actually bring about change if destroyed or altered. There's a good chance this will happen in the third act, and drive the story to its climax. A good example here is Agent Smith vs. Neo in The Matrix. Not only is Smith a symbol of what's wrong, he's also unhappy with the status quo and blames Neo for it, adding a fun twist. By the end of the story, the protagonist has either instigated a change (for good or bad), or has lost to the system. How far to either side that is depends on your story. You might blow society out of the water or you might have done just enough to start society on a path toward change, even if you failed. (Repent Harlequin! Said the Ticktock Man is a good example of this type. Sure, the hero "loses" but does he really?). Or you might die in utter failure, stoned to death by your neighbors. Personally, I feel person vs. society conflicts are probably the easiest conflicts after person vs. person, because there are so many ways in which the society can cause the protagonist trouble. There are tangible obstacles to overcome, established stakes, and a ton of thematic elements to work with. They're also a nice mix of the grand idea and the personal problem. They're a lot of fun to play with, especially if you have some heavy themes or issues you want to explore. How do you feel about person vs. society conflicts? What are some of your favorites? Have you ever written one? Have one in the works? 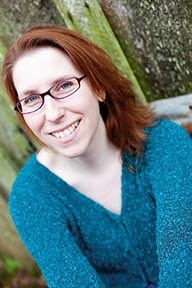 When She Woke by Hillary Jordan is an excellent example. As you mentioned above, there are several representatives of the antagonist's (society's) struggle, though the change the protag makes is small at the end. It's easy to imagine the seeds growing to spark larger change. I found that a realistic and thought provoking ending. I think the lines between "man vs. society" and "man vs. man" can blur. In some fantasy books I've read, the objective is to bring down the tyrant who is the cause of the terrible societal problems (corruption, poverty, etc). In that case, like in this, the Big Bad Guy is a symbol for everything that's wrong with the society. However, it usually works in the opposite direction from what you described -- hero decides to take down Big Bad first and ends up solving societal problems, rather than hero sets out to take down society and ends up having to take out a Big Bad in order to do so. Ooh, this is so great! It really helps me to think of villains in these four types of conflict, because my villains generally end up just like this: the antagonist to the protagonist, but not a true "Villain". Thanks for this! Oddly, I think the story I have in the works is something that works it's way towards this. It's just a matter of self-discovery turned discovery of society then on to pitting the main character against the establishment. I'm a little nervous about it but working to see how it will turn out. Thanks for this post as it's pretty helpful as I begin the first revision of the first draft. I know I have a LOT of work ahead of me. Love these stories! Hunger Games comes to mind, even though there are plenty of villains in that story. Great wealth of info here, thanks!! Great post Janice! Going to link it to my blog. Great tips, Janice and I love the sound of that book too. Laura, oh totally, and that's half the fun. My book was like that actually. A small problem that turned into a societal one. Those are my favorite antagonists myself. Even when they're evil, I like to see the reasons why and understand them. But, I wonder if having two aspects is too much? I have a girl in a patriarchal family and their clan's society restrictions, but also she and her family are trying to fit in as immigrants to a larger society that excludes them. Which one does the core conflict connect to? That would be the main problem. If it works, you could always make one the plot conlfict and the other the internal conflict/character arc conflict. Or maybe both are different aspects of the conflict, but the problem is something else.